The Scot’s limp was noticeable at times as he fell 7-5 2-6 6-4 6-4 to Spain’s Fernando Verdasco, whose only win over Murray in 14 prior meetings was at the 2009 Australian Open. 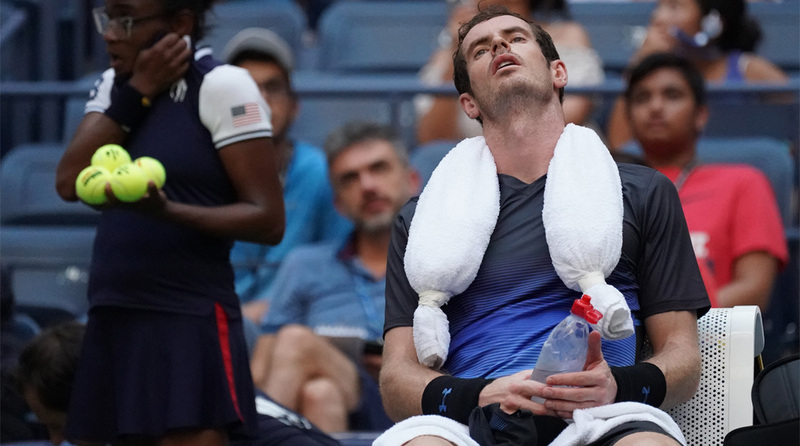 Stan Wawrinka survived searing heat and a spirited Ugo Humbert to reach the third round of the US Open as fellow former champion Andy Murray’s return ended in the second round. Wawrinka, unable to defend his 2016 Flushing Meadows title after undergoing two knee surgeries last year, said yesterday that he wasn’t surprised at the challenge produced by 139th-ranked Humbert, a left-hander who is playing his first tour-level event this week after a dominant summer on the developmental Challenger circuit. “I knew it would be a difficult match,” said Wawrinka, who was pleased to find himself feeling fit after prevailing 7-6 (7/5) 4-6 6-3 7-5 in three hours and 21 minutes. “Even with all the surgery and not 100 per cent physically he’s a fighter.” Verdasco booked a third-round meeting with another former champion, third-seeded Argentine Juan Martin del Potro who beat American Denis Kudla 6-3 6-1 7-6 (7/4). Raonic, who advanced 6-3 6-4 6-4 over France’s Gilles Simone, said it was probably one of the few times Nadal would be happy to find himself last on court for the second time in as many matches. “You don’t have fresh air to breathe — you breathe this heat that’s coming, the moisture that’s in the air. So you feel like you are empty,” said the 15th-seed, who was undone by 64 unforced errors in a 6-4 6-3 4-6 6-3 loss to Russian Daniil Medvedev. Medvedev, who won his second ATP title of the season at Winston-Salem last week, booked a third-round meeting with 20th-seeded Croatian Borna Coric, a 7-6 (7/4) 6-2 6-3 winner over Spain’s Roberto Carballes Baena. Fifth-seeded South African Kevin Anderson, runner-up to Nadal last year, made quick work of France’s Jeremy Chardy, 6-2 6-4 6-4. Ninth-seeded Austrian Dominic Thiem, the French Open finalist whose US Open preparation was disrupted by injury and illness, advanced with a 6-7 (5/7) 6-3 5-7 6-4 6-1 victory over American Steve Johnson.